Should the Colorado Avalanche consider trading Matt Duchene? 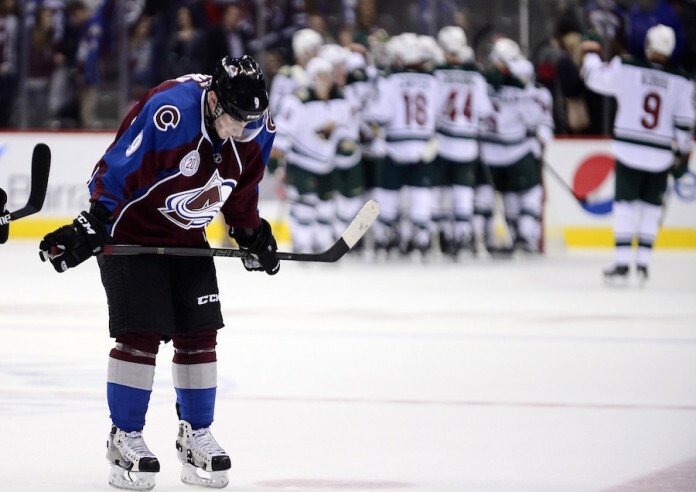 The party is over for the Colorado Avalanche. After Tuesday’s 4-3 loss to the Nashville Predators, all hopes of making the NHL playoffs were officially eliminated. The story was not the Minnesota Wild earning a playoff spot; it was the Avalanche absolutely imploding. If Colorado could have squeaked out a point or two during games down the stretch, perhaps things could have been different given the fact the Wild have lost four games in a row. Instead, the Avalanche has lost four-straight of their own and are just 1-6 since Mar. 24. Since that date, the schedule has been brutal. Colorado has had seven-straight games against current playoff teams, most of those teams being very good playoff teams. Late season injuries to Matt Duchene and Nathan MacKinnon did not help the Avalanche much, either. With just two games remaining in the season, the question now is what the team should do next. Colorado has had a rough decade, but a collapse of this magnitude down the stretch is unacceptable in this town. The core of the team seems to have the talent to win in this league, but they just haven’t been able to do so. Perhaps it may be time to shake things up a bit in the offseason. Questioning the head coach is a completely legitimate question for Colorado fans. I am just in favor of keeping Roy at least one more year and shaking up the roster a bit. Colorado needs to consider trading their leading goal scorer in Duchene. 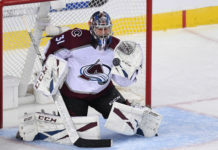 The guy is a great hockey player, but the Avalanche have only qualified for the playoffs twice since taking Duchene 3rd overall in the 2009 draft. Also, Duchene was recently called out by Roy after he celebrated scoring a goal in a blowout loss to the St. Louis Blues recently. Roy rarely calls out his players and you have to wonder if his patience with Duchene is beginning to run thin. 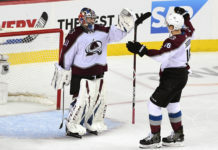 There is no question that with being a leader on this team, Duchene was wrong to celebrate a meaningless goal while his team was going through a monumental collapse. When things aren’t working out the way they should, it’s time to shake things up. The Avalanche could use a big defenseman to pair with Tyson Barrie. Colorado could also use more talented young prospects to improve the depth on the team. 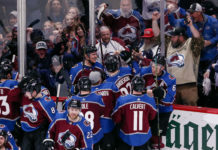 Whether you are on board with a move of this magnitude or not, the Avalanche must do something to ensure a collapse like this does not happen again next season. If you were in the front office what would you do? Catch MHS Late Night with Sean Walsh every weekday from 10 p.m. – 12 a.m. on Mile High Sports AM 1340 or stream live any time for the best coverage of Colorado sports from Denver’s biggest sports talk lineup.